The U.S. Department of Energy (DOE) has confirmed the need for a unique source of X-ray light that would produce beams up to 1,000 times brighter than are now possible at Lawrence Berkeley National Laboratory’s (Berkeley Lab) Advanced Light Source (ALS), enabling new explorations of chemical reactions, battery performance, biological processes and exotic materials. The proposed Advanced Light Source Upgrade project, also known as ALS-U, has cleared the first step in the DOE approval process. On Sept. 27 it received “critical decision zero,” also known as CD-0, which approves the scientific need for the project. 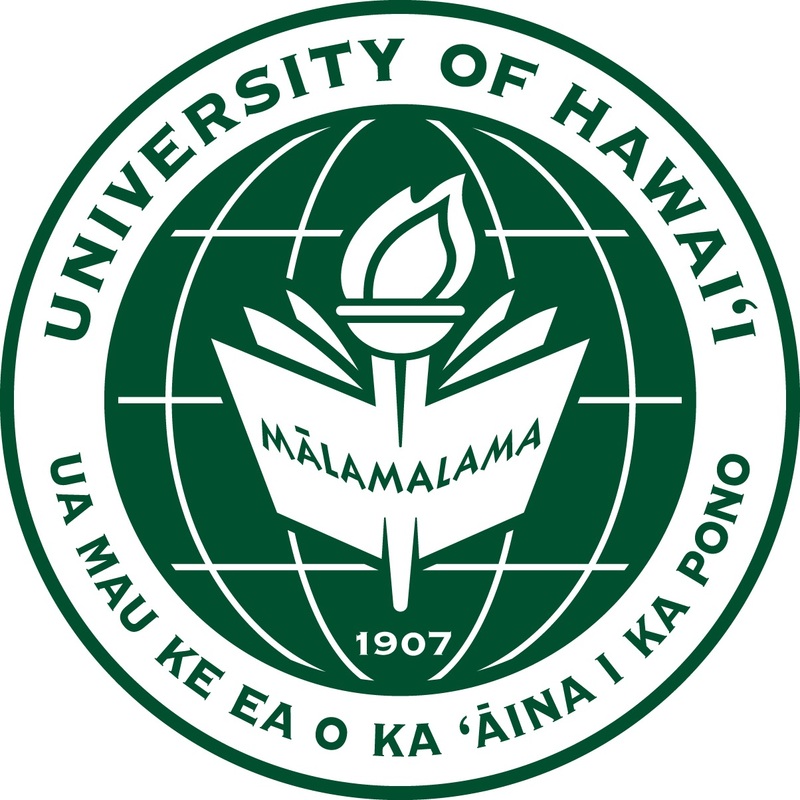 This initial step sets in motion a process of additional planning and reviews, and the laboratory will begin the upgrade’s conceptual design. If ultimately advanced, the ALS-U would feature a new, circular array of powerful, compact magnets. This state-of-the-art array, known as a “multibend achromat (MBA) lattice,” and other improvements would allow the ALS to achieve far brighter, steadier beams of so-called “soft” or low-energy X-ray light to probe matter with unprecedented detail. MBA systems have been demonstrated successfully at a light source in Sweden known as MAX IV, and will be put to use in a planned upgrade to Argonne National Laboratory’s Advanced Photon Source [AS]facility in Illinois that specializes in a range of energies known as “hard” X-ray light that is complementary to the separate range of X-ray energies produced at the ALS. The electron beam profile of Berkeley Lab’s Advanced Light Source today (left), compared to the brighter, highly focused beam (right) that is possible with an upgrade known as ALS-U. (Credit: Berkeley Lab). The present-day ALS is already a premier destination for thousands of scientists from around the nation and world each year to conduct soft X-ray experiments. Soft X-rays are particularly suited to studies of chemical, electronic, and magnetic properties of materials. The upgrade would deliver light to experiments in nearly continuous waves that are more uniform, or highly “coherent” and laser-like, which would allow scientists to resolve nanoscale properties in a range of samples and to observe real-time chemical processes and material functions. In particular, the brighter, more coherent beams, which would approach the fundamental limits in performance for soft X-rays, will be useful for exploring materials at the nanoscale to map out their physical, chemical, and electronic structure as they evolve. Modern materials are complex and inherently varied, so their functionality can only be understood by measuring this non-uniformity in their properties. Scientists could use these beams to produce 3-D maps of battery and fuel cell chemistry at work, for example, which could ultimately provide clues to improving their performance. The brighter, more coherent, beams could also be used to explore exotic materials phenomena like superconductivity, in which materials can carry electrical current with nearly zero loss; and to study unusual quantum properties that are poorly understood and defy explanation by classical physics. The ALS is a synchrotron light source that can produce a wide spectrum of light, from infrared and ultraviolet light to X-rays. Synchrotrons accelerate electrons to nearly the speed of light, then direct them into curving paths that cause the electrons to give off some energy in the form of photons—fundamental particles of light. The electron storage ring at ALS is approximately 200 meters in circumference. ALS-U would utilize and preserve the existing ALS building, an iconic domed structure designed in the 1930s by Arthur Brown Jr., the architect who also designed Coit Tower, a San Francisco landmark. 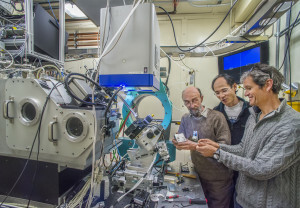 The upgrade would incorporate most of the 40 beamlines and supporting equipment that now allow simultaneous experiments across a wide range of scientific disciplines. Also, three new beamlines are planned that will be optimized for the new capabilities of ALS-U. About 200 scientific and engineering staff work at the ALS, which draws thousands of scientist “users” per year from around the world. In fiscal year 2015, the ALS hosted more than 2,500 of these visiting scientists from 43 U.S. states and Washington, D.C., and 33 other nations. In collaboration with ALS staff experts, these scientists produce more than 900 peer-reviewed articles per year featuring work performed at the ALS. The ALS dome was originally built in the 1940s to house an early particle accelerator known as the 184-inch cyclotron, a brainchild of Berkeley Lab founder Ernest O. Lawrence. Construction to convert the facility into the ALS began in 1988 and was completed in 1993. The ALS has undergone several improvements since startup—the latest was a four-year brightness improvement project, completed in 2013 and which recently received the Energy Secretary’s Achievement Award, that as much as tripled the brightness of X-ray light at some of its beamlines. ALS-U represents the largest new project at the lab since the ALS was completed, and takes advantage of a more than half-billion-dollar investment in the existing ALS, said Robin. ALS-U could conceivably be up and running within a decade, he added. The next stage of DOE project review and approval, known as CD-1, would confirm site selection for the proposed transformational soft-X-ray synchrotron project. For more information about the ALS-U project, visit: http://als.lbl.gov/als-u/overview. Alessandra Lanzara, Ph.D., is a grantee in the foundation’s Emergent Phenomena in Quantum Systems initiative and directs the Lanzara Research Group at the University of California, Berkeley and Lawrence Berkeley National Laboratory. 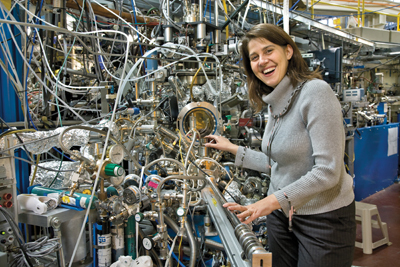 Her group studies how electrons and atoms interact with intense, ultra-short optical pulses of light–a cutting-edge technique called angle-resolved photoemission spectroscopy, or ARPES. This experimental tool gives scientists a glimpse into the secret lives of electrons and atoms, and could one day allow us to alter their properties using just a flash of light. In this installment of Beyond the Lab, Alessandra discusses her work unraveling the behavior of quantum materials, and the connections between experimental physics and archaeology. It all started during a school field trip to an amusement park. My teacher organized this trip as a fun way to learn about fundamental physics in our everyday life. While initially I was excited about being able to spend an entire school day at the amusement park, by the end of the day I was actually more enthusiastic about the physics underlying the roller coasters! This was a defining moment, when I realized that I wanted to become a physicist. Looking back, however, I believe that the seed was already planted, and my parents have inspired me throughout all my childhood. I recall endless hours spent with my dad inventing a “new motor” or designing a “new car”. Enthusiasm for discovery and invention, thinking without creating any artificial barriers–these are probably the most beautiful presents that my parents have given me. What areas in science are you most interested in solving? I am fascinated by the rich and mysterious properties of quantum materials, materials where quantum mechanics plays a key role in determining their unconventional behavior. My interest spans from understanding their equilibrium properties, by uncovering how electrons move and how they interact within each other and with other excitations; to using ultrashort and intense pulses of light to manipulate quantum materials behavior and to induce new regimes that do not exist in equilibrium. Just like understanding of semiconductors led to the silicon revolution, understanding quantum materials will mark new revolutions in technology leading to a new era of computing. How do your colleagues help you achieve your goals? I have been incredibly lucky to be surrounded by amazing people that are a constant inspiration for me: from my Ph.D. advisor, an unconventional thinker driven by a passion for science, to my colleagues here at Berkeley who continuously push me to always try something more, to design the next harder experiment, and to challenge even what we think is known. Working with dedicated, bright students and post-docs, and sharing–and confronting– ideas, is an inspiring and beautiful process that leads to new unexplored paths and eventually, new discoveries. What are your greatest challenges as a researcher? As an experimental scientist, I often feel that my biggest limitation is the lack of sophisticated experimental tools that can further deepen and eventually uncover the mysterious force that drives new properties in materials. Often times, an experiment shows us the tip of an iceberg, but the lack of more sophisticated tools limits our complete mapping of the iceberg. I like to compare science to archaeology, one of my passions. When archaeologists were digging in search of the tombs of Egyptian pharaohs, they discovered several small and unique pieces that were just the tip of what turned to be an amazing and sophisticated civilization. Only more advanced tools and investments have allowed us to finally uncover a treasure that was hidden under our eyes for thousands of years, revealing one of the most rich and fascinating civilizations of the past. What gets you going every day, and how do you stay motivated? The mystery of the unknown and the passion for discovering natural truths. The unique feeling that follows from the discovery of something, even if it is just a tiny, tiny piece of a huge and still unsolved puzzle, keeps me motivated and enthusiastic about science. Watch Alessandra and her colleagues at the Lawrence Berkeley Laboratory discuss the potential of angle-resolved photoemission spectroscopy here. In a new paper in the Astrophysical Journal, the team describes the experiment in which they recreate conditions around carbon-rich, dying stars to find formation pathways of the important molecules. For decades, astronomers have pointed their telescopes into space to look for signatures of these nitrogen-containing double carbon rings called quinoline, Ahmed explains. They’ve focused mostly on the space between stars called the interstellar medium. While the stellar environment has been deemed a likely candidate for the formation of carbon ring structures, no one had spent much time looking there for nitrogen-containing carbon rings. To recreate the conditions near a star, Ahmed and his long-time collaborator, Ralf Kaiser, professor of chemistry at the University of Hawaii, Manoa, and their colleagues, which include Dorian Parker at Hawaii, and Oleg Kostko and Tyler Troy of Berkeley Lab, turned to the Advanced Light Source (ALS), a Department of Energy user facility located at Berkeley Lab. At the ALS, the researchers used a device called a hot nozzle, previously used to successfully confirm soot formation during combustion. In the present study the hot nozzle is used to simulate the pressures and temperatures in stellar environments of carbon-rich stars. Into the hot nozzle, the researchers injected a gas made of a nitrogen-containing single ringed carbon molecule and two short carbon-hydrogen molecules called acetylene. Then, using synchrotron radiation from the ALS, the team probed the hot gas to see which molecules formed. They found that the 700-Kelvin nozzle transformed the initial gas into one made of the nitrogen-containing ring molecules called quinolone and isoquinoline, considered the next step up in terms of complexity. These experiments provide compelling evidence that the key molecules of quinolone and isoquinoline can be synthesized in these hot environments and then be ejected with the stellar wind to the interstellar medium – the space between stars, says Kaiser. As everyone who lives in the San Francisco Bay Area knows, the Earth moves under our feet. But what about the stresses that cause earthquakes? How much is known about them? Until now, our understanding of these stresses has been based on macroscopic approximations. 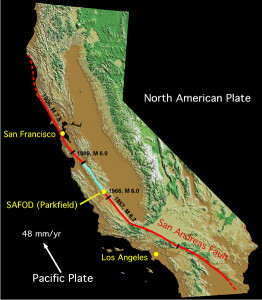 Now, the U.S. Department of Energy (DOE)’s Lawrence Berkeley National Laboratory (Berkeley Lab) is reporting the successful study of stress fields along the San Andreas fault at the microscopic scale, the scale at which earthquake-triggering stresses originate. Kunz is one of the co-authors of a paper describing this research in the journal Geology. The paper is titled Residual stress preserved in quartz from the San Andreas Fault Observatory at Depth. Co-authors are Kai Chen, Nobumichi Tamura and Hans-Rudolf Wenk. 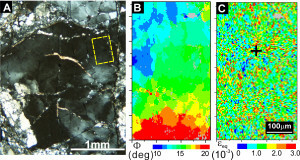 “Laue microdiffraction has been around for quite some time and has been exploited by the materials science community to quantify elastic and plastic deformation in metals and ceramics, but has been so far only scarcely applied to geological samples”, says co-author Tamura, a staff scientist with the ALS’s Experimental Systems Group who spearheads the Laue diffraction program at the ALS.